Netflix is losing more than it expected from the backlash over its recent price hike. The company is revising its third-quarter projected U.S. subscriber numbers downward from 25 to 24 million, according to a letter to shareholders (here reported by AllThingsD’s Peter Kafka). To put this in context, look at Netflix’s corresponding numbers from its second quarter shareholder letter [PDF]. Netflix had 24.59 million US subscribers at the end of the second quarter (and only about a million more everywhere else). The company began 2009 with 10 million subscribers, and for two years has shown year-over-year subscriber growth between 26% and 64%, with profits to match. Netflix’s executives thought its price hikes would mean slower subscriber growth for the third quarter only; many customers would switch plans, and it would lose older DVD-only subscribers, but offset them with new streaming ones. It didn’t think it might actually lose net customers. Independent analysts were less certain. Netflix’s revised numbers are better than these worst-case projections, but close to the middle of the field. to remain very price aggressive, with $7.99 per month for unlimited streaming of a huge library of TV shows and movies, and $7.99 per month for unlimited DVD rentals, 1 out at-a-time. We know our decision to split our services has upset many of our subscribers, which we don’t take lightly, but we believe this split will help us make our services better for subscribers and shareholders for years to come. The trouble is that Netflix didn’t match its streaming-only subscriber uptake number either. There’s more competition for video streaming attention and dollars than ever. New services have launched and other competitors are gradually catching up with Netflix’s catalog size and device support. The company’s executives now know they have to do better by their existing US customer base and expand its streaming service globally. It could prove very difficult to do both at the same time. Finally, there are still millions of customers who don’t have a streaming video box or game console, who may not even have high-speed internet, and still consume most of their video entertainment via DVD. As video stores across America closed, these people turned to Netflix. They were extremely loyal, but also probably the most price-sensitive. Netflix could have owned these customers for years, like AOL dial-up subscribers, hanging onto them and milking their loyalty in the absence of any real competition. Instead, it pissed them off, losing almost a million. Netflix has thought and talked about itself as an innovator and technologically-forward company for so long that it didn’t realize it was actually still running a legacy business. 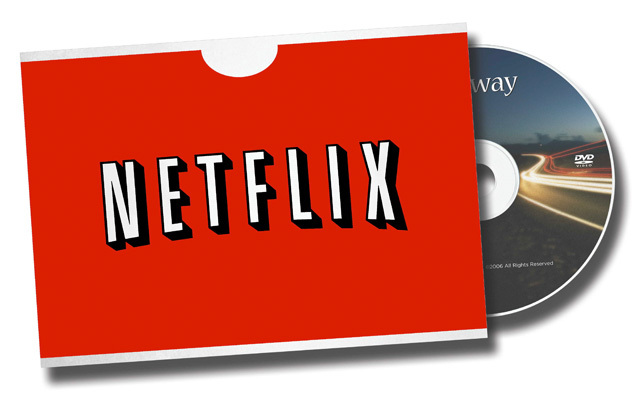 It’s a great time to be a streaming video customer, perhaps especially with Netflix. But Netflix may have been premature here. It doesn’t own the streaming business, even in the U.S. Meanwhile, DVDs are hanging on much longer than anyone expected. Netflix had the right vision at the right time and built its tech at the right pace but tossed their customers (and their wallets) into the deep end a little too soon.